I've managed to cut around stains so far, but your embroidery solution is brilliant. It makes your trousers look couture instead of flawed. Thank-you! But if I keep telling everyone that there are stains under the applique, it sort of defeats the purpose. I love the creativity of the embroidery on the grey wool pair! Love that you remade them to wear another day! Thanks Carolyn! I find that sometimes I need the motivations of an "event" - even if it's "going to work on Monday" to get me moving on finishing a project. 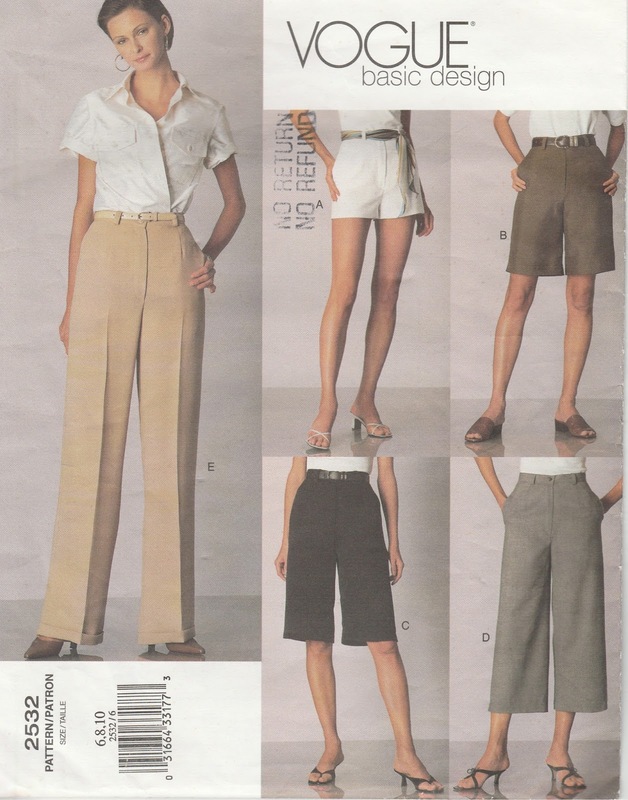 The Vogue basic pattern is a very good pattern - I keep all the old ones, as they do sit well at the waist and they do fit. I like your "new" pants - the length is perfect, and as you say, much easier to wear in weather. I find that once you get a pants pattern to fit as you like, there's really no reason to go looking for more patterns. Small details can change the look. Great save on the grey pants. They're very chic. These are perfect! I especially like your embroidery as it is soooo satisfying to save something from the discard pile. Thanks Mary! Can't toss a perfectly good piece of fabric because of a spot!